Samsung Galaxy S5 is a great Android smartphone from the specs. With a great 16MP camera, the new processor. The phone will run Android 4.4.2 KitKat with ANT+ support. Samsung could have put a 4GB RAM inside there. 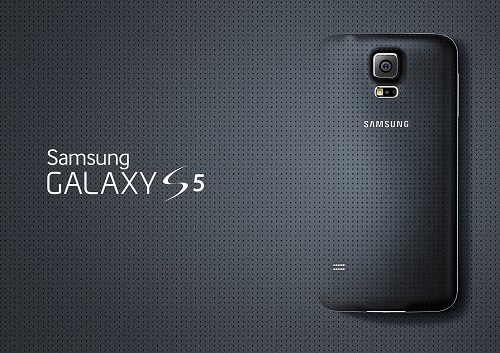 Let’s have a look at the main specs of Galaxy S5. Check the Galaxy S5 features page to know more about all the new features packed with this phone. 5.1″ FHD Super AMOLED touchscreen with 1920 x 1080 pixels resolution & Corning Gorilla Glass 3. The phone is IP 67 certified, so, water / dust resistant. The back side is bit different from their current range of phones. Qualcomm MSM8974AC Snapdragon 801 quad-core 2.5 GHz Karit processor with Adreno 330 GPU. Internal memory of Galaxy S5 comes on 16GB or 32GB flavour. The best thing is this is the first phone to support 128GB microSD card. 2GB RAM is only what you get with this phone. There is an amazing 16MP camera at the back with HDR. The camera can record UHD 2160p videos @30fps and 1080p Full HD videos @60fps. You can take 5312 x 2988 pixel resolution pictures with the camera. There is a front 2 MP camera for video call and selfies. The secondary camera can deliver 1080p video. 2G, 3G, 4G LTE with download speed up to 150 Mbps. Dual-band WiFi, Bluetooth 4.0 LE, GPS, NFC, Infrared, TV-out, microUSB 3.0 (supports MHL and USB On-The-Go). Galaxy S5 specs features few nice sensors. Fingerprint, Hear Rate, Gesture, Temperature, Humidity, Accelerometer, Gyro, Proximity, Compass, Barometer. Galaxy S5 has a 2,800 mAh battery with a talk time up to 21 hours. Standby time 390 hours. 142 x 72.5 x 8.1 mm, 145g. 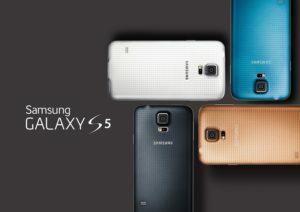 This is all the Galaxy S5 specs. If you want to know more, you might want to have a look at Samsung Mobile Press site. The phone will launch on 11th April in selected countries worldwide.